A common mistake that some people make when putting items in storage is not taking the time to organize and mark each box and container. Only after they need something and have to search through multiple boxes do they realize just how helpful organization would have been. With a little bit of insight, you can avoid this and other mistakes that go hand-in-hand with storing items. You need to select the right type and size of boxes. As a good rule of thumb, you will need between three and four small to medium-sized boxes for every one large box. However, you want to choose boxes that are strong and durable, meaning they have no damage. That way, they will stack easier. If you have clothing items that will be placed in storage, investing in wardrobe boxes is worthwhile, especially for expensive clothes. These boxes are not just strong and durable; they are designed with a bar for hanging everything up. Make a List – Prior to putting any items in a box, make a list of what will go inside and then label each box accordingly. List Estimated Value – You want to list the estimated value to replace items in each box for insurance purposes. Secure Fragile Items and Mark Fragile – If any boxes contain breakables, be sure they are secured in bubble wrap and that the word “fragile” is clearly marked in big letters on all sides of the box. Keep Rooms Separated – If possible, keep each room separated. In other words, make sure that all of your kitchen items are boxed together, bedroom items together, bathroom items together, and so on. Regardless of the number of boxes that will ultimately be stored, this will make it easier to find things. Don’t Overpack – In preparing your items for storage, it is important that you never pack boxes too heavy or too full. 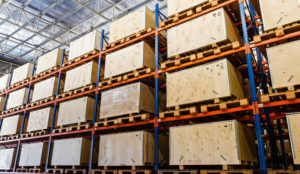 Not only does this make it difficult for you or the professional movers to lift and carry, it creates the risk of something being damaged once boxes are stacked inside of your unit. Consider How Your Store Items – Although you can place small items in plastic bags for the sake of organization, choose wisely. Unlike a climate-controlled storage unit, a standard unit gets hot. As a result, condensation can build up inside a plastic bag, causing the contents to be covered with mold and mildew. Store Appliances Properly – If you plan to put a refrigerator or freezer in storage, be sure to keep the doors slightly ajar. This prevents the development of mold and mildew and gives you extra space for storing smaller boxes. Use Linens to Protect Fragile Items – For an added layer of protection, place towels, sheets, comforters, and even folded clothes in between delicate items.  For more information about how to pack your items for storage or to receive a free estimate contact Rainbow Movers today at 508-528-4111!